New Age Kurling a hit for a second year. 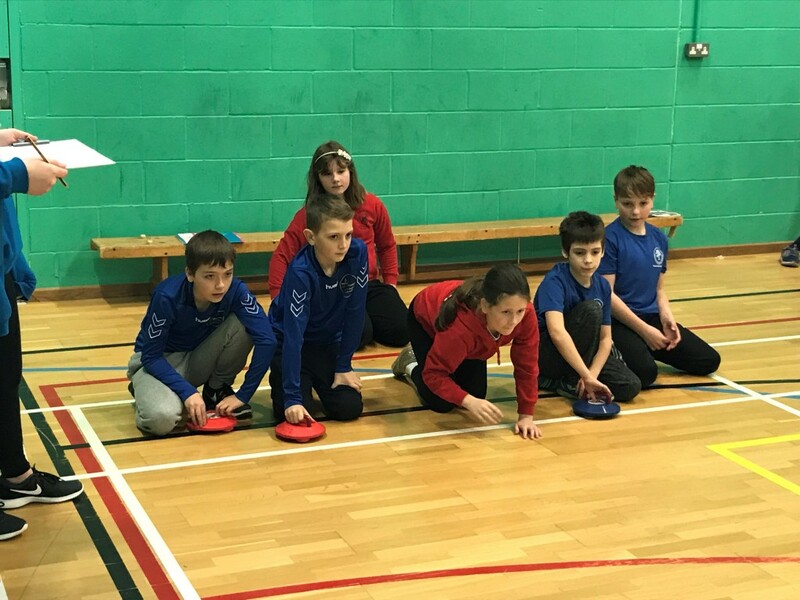 After the success of last year, South Cambs School Sports Partnership hosted its second New Age Kurling competition. The event was as big a success as last year with teams of children from 11 schools taking part. The event was hosted at Bassingbourn Village College and organised on the day by an excellent group of sports leaders from the college. New Age Kurling is an exciting target game with teams playing a tactical game of position with the stones. Adapted from the original curling game played on ice the sport is play indoors on a smooth flat surface, such as a sportshall, making it perfect for able bodied and disabled people of all ages. This year we added three more challenging games for the children to play, they were skittles, moving stones and between the gates. This added to the excitement for the children. Teams of 2 players from Bassingbourn, Histon & Impington Juniors, Waterbeach, Castle Camps, Hauxton, University of Cambridge Primary School, Steeple Morden, Willingham and Swavesey Primary School took part in the event which was played over 8 courts. Teams played in a round robin format and took on the other schools in their group for twenty minutes on each game then moved to the next game. Players took it in turns to push their stones along the ground towards the target which was either the skittles, between the gate, a stone or the middle of the target. Winners on the day were presented with medals and included teams from Steeple Morden, Hauxton, Waterbeach, Histon & Impington Junior School, Castle Camps and Bassingbourn. A record number of ‘Spirit of the Games’ awards were also given out for team work and respect. They went to Joe, Finley, Taylor Ivy, Amia and Savanah from Histon & Impington junior school, Alfie and Alasdair from Willingham, Joshua and Frankie from Swavesey and Ava from Hauxton.